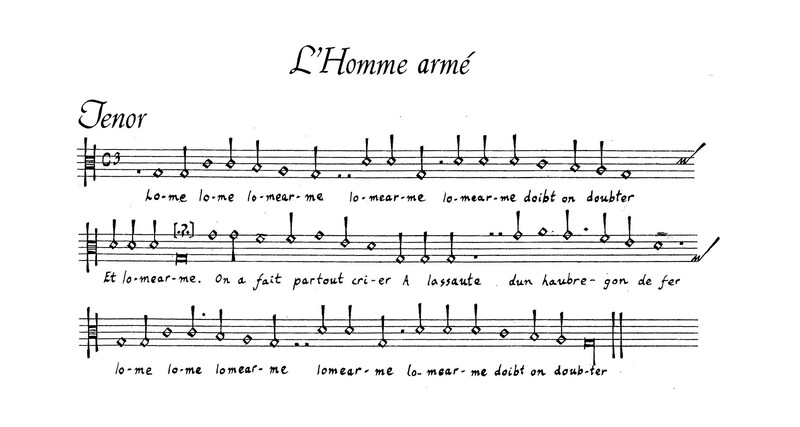 The name L’Homme Armé derives from a melody that probably dates to the beginning of the 15th century and has rather mysterious origins. 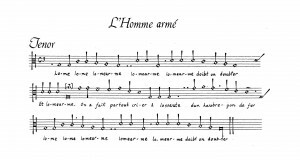 This melody was used from the mid 15th cent. to the beginning of the 17th cent. as cantus firmus of more than 30 polyphonic masses.